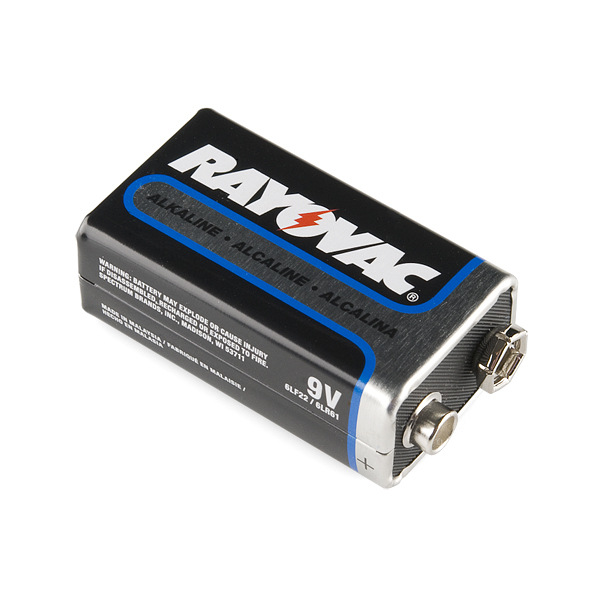 These are your standard 9 Volt alkaline batteries from Rayovac. Don't even think about trying to recharge these. 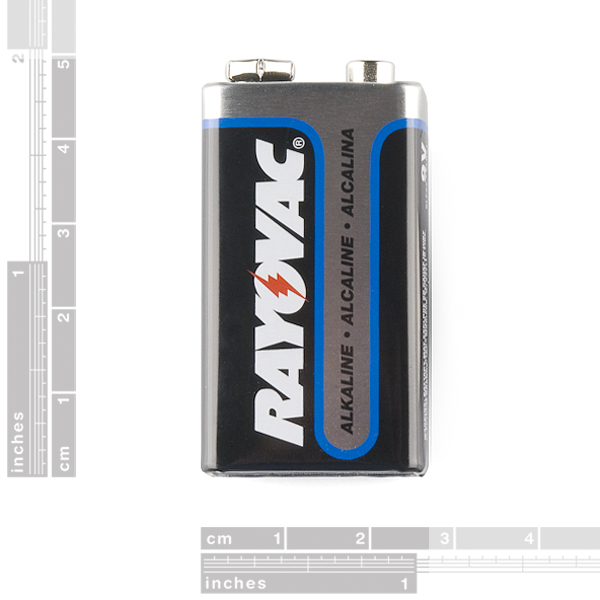 Use them with Arduinos or with a voltage regulator to get a solid 5V for your project. How many mAh is this rated at? Does anyone know the maximum continuous current draw is? As an engineer who works for a battery company, you are wrong. You may think it's working, but it's not. 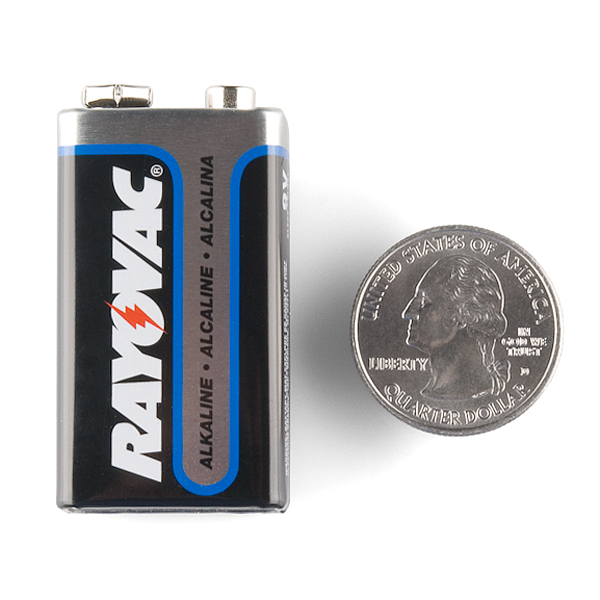 Don't charge alkaline batteries. Great battery, good voltage and mAh. Much cheaper from SparkFun if you're already ordering other stuff.